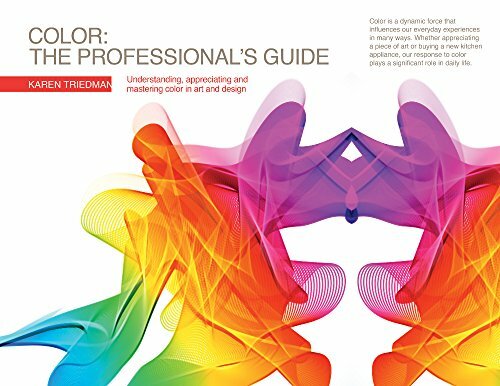 Color - The Professional's Guide is a 256-page paperback authored by Karen Triedman. It seems pretty comprehensive in terms of coverage and should serve as a good reference to graphic designers and those who want to learn more about colour. The content is split into six chapters. The first talks about the science of colours and how they work, light, colour schemes and for application, the pigments and how they are created. Second chapter is on the psychological and cultural context. It looks at what colours mean to different people from different places and eras. Third chapter looks at how colours are used in paintings, photography and how colour is associated with different emotions and evoke them. The fourth and fifth chapter deals with graphic design and also how colours are used in real life, such as for store displays, setting up furniture, interior design and more. Last chapter looks at how colours are used in films, both life action and animation. The book is very informative with lots of photos, interviews with experts and of course detailed writeup into the specific topics in each chapters and sub-chapters. It serves as an excellent primer to colour usage in art and design. I find the explanation simple and the use of illustrated examples helps enforce the concepts. If you're interested in colours, you should also check out these two other books called Artist's Color Manual and The Practical Handbook of Color for Artists which should appeal more to artists and painters.